Henna is an extremely popular natural beauty ingredient that has been used since times immemorial in order to achieve gorgeous, shining and healthy tresses. 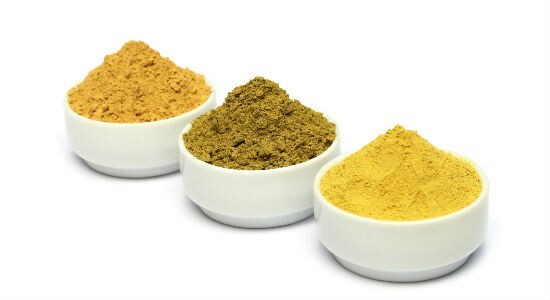 Natural henna powder that we use is obtained from a shrub called Lawsoniainermis. Henna is a one stop solution for all hair problems. It helps in making the strands stronger, balances hair porosity, reduces dandruff, smoothes the hair cuticles, adds volume to hair, promotes hair growth and acts as a natural hair dye. 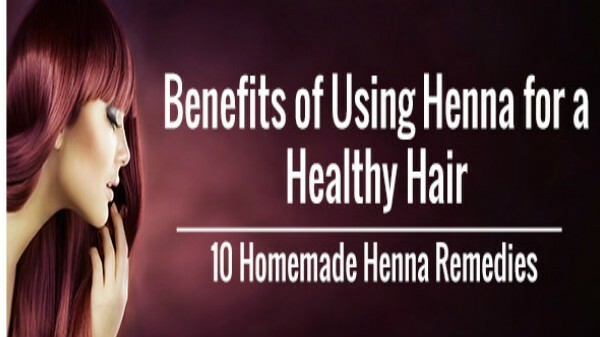 All of us are aware of the benefits of henna for hair. Henna works even better than expensive commercial hair conditioners by building a protective layer around each hair strand and protecting it from damage and harmful UV rays of the sun. It adds a natural shine and gloss to the hair and also makes them stronger at the same time. Soak the henna in freshly brewed tea overnight. 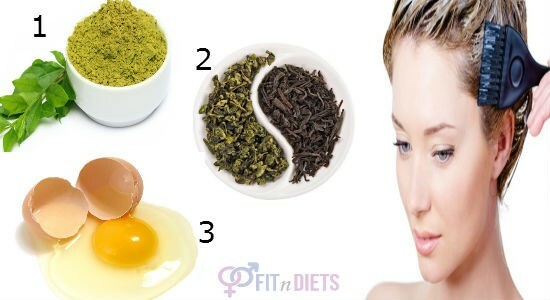 Add a beaten egg to the henna immediately before applying it to your hair. 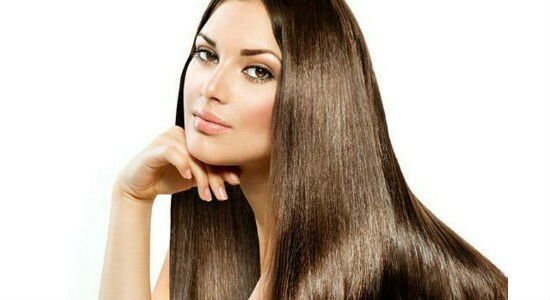 Apply the mixture to your hair stands evenly and keep it for 1 hour. Wash off with cold water followed by shampoo. Supplying the necessary nutrients to the hair follicles and maintaining overall hair health is two of the most important benefits of henna for hair. Henna restores the pH balance of the scalp and repairs the damaged hair strands. It also promotes hair growth and adds volume to the tresses. Boil the amla in 1.5 cups of water use this water to mix the henna. Also mash the amla pulp and add it to the henna mixture. 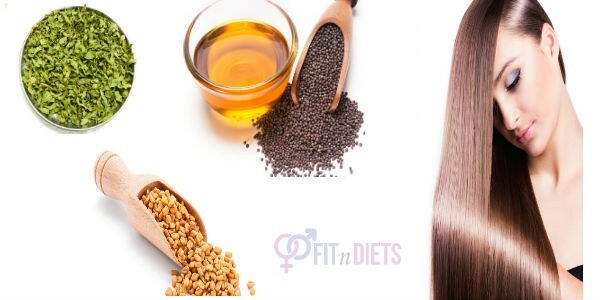 Apply this mixture to your hair evenly, leave it for 1 hour and wash off with water. Wash your shampoo with a mild shampoo the following day. What better way to colour your hair than with natural henna that does not contain any harmful chemicals or ammonia. Henna powder for hair is undoubtedly the best elixir that not only covers the greys evenly, but also improves the quality of hair with every application. Steep the henna in water overnight, and add the other ingredients to the mixture the next morning at least 1 hour before applying it on hair. Apply the henna pack carefully to cover each and every grey hair. Leave it for 2 to 3 hours before washing away with water. 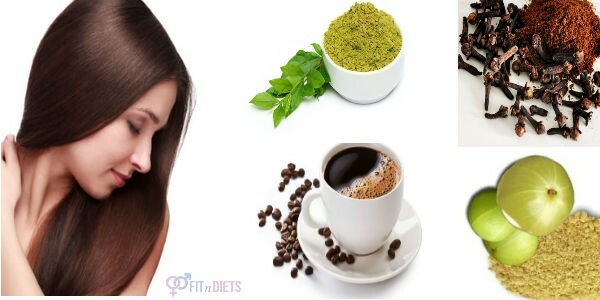 Natural dandruff treatment is one of the best henna for hair benefits. Henna works as an amazing scalp cleanser that helps to remove excess oil, dirt, impurities and product residues from hair, which in turn helps in getting rid of dandruff. Soak the fenugreek seeds in water overnight and grind them to a smooth paste. Heat the mustard oil and add the henna leaves to it. Let the oil cool down completely. Now, strain the oil and add the fenugreek paste to it, mix well and apply it to your scalp. Leave it for 30 minutes and then wash off with a mild herbal shampoo. The benefits of henna for hair growth are well known and it has been used for ages as remedy for various types of hair problems. Henna helps in sealing the hair cuticles, thus preventing breakage and the loss of natural oils from the hair strands, but how to use henna for hair growth? Well, here is a simple and easy henna hair pack that you can apply twice every month to promote hair growth. Soak the henna in the black tea overnight. In the morning, add all the other remaining ingredients to the soaked henna and mix well. Apply it evenly to your hair, leave it for 3 hours and wash off with cold water. Shampoo your hair the following day. How to choose the best henna for hair? With so many chemical-ladenartificial henna products in the market, it is quite difficult to get pure organic henna that is best suited for hair. Body art henna is considered the best quality henna for hair because it contains no additives. The henna powder is made from dried henna leaves and it contains high dye content that gives a richer shade to the hair. When buying henna, make sure you read the package thoroughly. Natural henna should contain nothing other than henna in the list of ingredients. High quality henna has a light green colour and a fine powdery texture. Always buy henna powder from a reputed brand. So, say goodbye to expensive salon products and pamper your hair with the natural goodness of henna. Henna is not only inexpensive and readily available, but also a functional solution for all types of hair problems.